The Department for Transport has said it "can't afford to be complacent" in its comms activity around drink driving as it marks 50 years since the maximum legal drink-drive limit was introduced and revealed that a new campaign is being devised. The DfT has a new THINK! drink-drive push in the pipeline, which will be launched at the end of November, aimed primarily at young men. 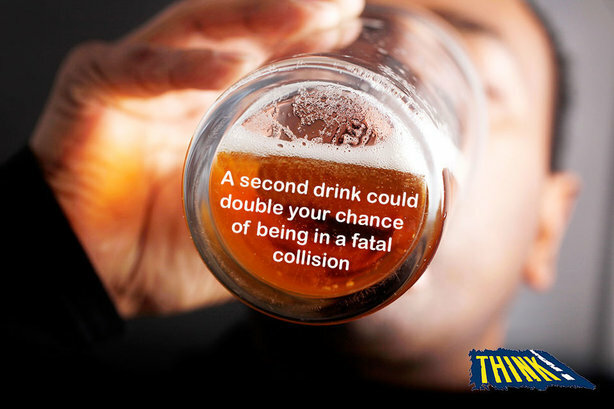 The new campaign will be the latest in a long history of comms aimed at cutting drink-drive deaths since the introduction of the landmark Road Safety Act in 1967. At that time, a major publicity campaign ran around the new act, comprising TV, film and newspaper advertising and millions of leaflets distributed with vehicle licences. Claire Farman, senior campaign manager at DfT, who leads the development and delivery of drink-drive campaigns, told PRWeek that comms activity was an ongoing challenge. "While the key message for the campaign hasn’t changed – don’t drink and drive – the challenge over the last 50 years has been to keep it relevant and worth taking notice of," she explained. "Working really hard to develop audience insight combined with huge support from our communications agencies and stakeholders has enabled the DfT teams over the years to develop campaigns that cut through to help drive the behaviour change we need, particularly with young men." Campaigns over the years range from ‘Office Party’ in 1964, which shares the risks of too many drinks in a jaunty black and white montage, to the emotional ‘Kathy’ in 1990, where a young girl is pictured crying after her dad’s drink driving has killed a little boy. More recent shocking campaigns include ‘Crash’ in 2004, showing a woman in a pub hit by a drink-driver, and ‘Publooshocker’ in 2013, where a woman’s face crashes through a pub toilet mirror. Since official statistics began in 1979, drink-drive deaths have dipped from 1,640 a year down to 200 in 2015, but Farman said that there was still more work to be done. "We can’t afford to be complacent, however, which is why we’re currently working on a new campaign to launch later this year that will enable us to have a different type of conversation with young men using a blend of online and offline communications," she explained. A DfT report examining the 30 years of drink-drive comms between 1979 and 2009 found that messaging was focused in four distinct areas: heightening perceived risk; creating social unacceptability; confronting drivers in denial; and pinpointing the moment of decision. Although there has been a general downward trend, drink-driving among young men did re-emerge in the early 80s, with the report noting that changes in attitude didn’t translate to a reduction in deaths and serious injuries. However, it set the groundwork for lower drink-drive deaths and injuries in the late 80s and early 90s, when the report authors believe there would have otherwise been more, due to the buoyant economy and relatively low levels of breath testing. Roads minister Jesse Norman said: "There is still much further to go, but we are making good progress. Our THINK! campaigns should help to reduce the number of drink-drive incidents even further."